JUST LIKE NEW! SHIPS IN ORIGINAL RETAIL BOX, AND INCLUDES ALL THE ORIGINAL ACCESSORIES! 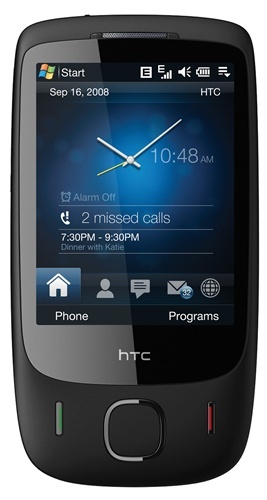 The successor to a category-defining original... the HTC Touch™ 3G propels you even further into the touch experience, making voice and text communication, web browsing and media playing more pleasurable than ever before. Take finger-tip control of the HTC Touch™ 3G with next-generation TouchFLO™, a touch-responsive interface designed to respond perfectly to finger gestures and help you navigate seamlessly through contacts, media and web pages with speed and precision. A perfect marriage of technical innovation and eye-catching design, the HTC Touch™ 3G's looks are just as striking as its Internet credentials... a range of hot colours are available that enhance the modern, lightweight shape, making it both a sensational user experience and a bold declaration of style.